Obesity/inactivity and its associated significant resulting morbidity continues to escalate globally, despite extensive interventions and strategies over the last 30 years. The economic costs are high, reaching far beyond the immediate cost of delivered health care. The resulting conditions affect almost every system in the body, yet few specialists focus on the root cause. Sports and exercise medicine specialists are ideally placed to tackle this problem in a holistic way that could provide sustained improvement for generations to come; even those with established pathology could benefit. 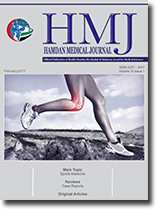 The evidence for sports and exercise medicine improving cardiovascular disease, diabetes, obesity (adult and adolescent), osteoarthritis/degenerative joint disease, mortality rates, mental health and even cancer is presented here. The pathway to becoming a sports and exercise medicine practitioner is detailed to encourage health-care planners to introduce this specialty into their national health-care system. Malignant gliomas are known to be resistant to therapies that induce apoptosis. Recently, several lines of evidence indicate that glioblastoma cells may be less resistant to therapies that induce autophagy. Therefore, drugs targeting autophagy are considered as promising in the management of malignant gliomas. The purpose of this study was to investigate the antitumour potential of FTY720, a novel sphingosine analogue, and to elucidate the molecular mechanism of its cytotoxic effects on malignant glioma cells. We demonstrate that FTY720 induces autophagy but not apoptosis in malignant glioma cells. We found that FTY720 sensitizes arsenic trioxide-induced autophagic cell death in glioma cells and that FTY720–arsenic trioxide (ATO) combined treatment induces autophagy through the inhibition of the Akt/mTOR signalling pathway. Our findings provide a possible base for combinatorial therapeutic application of FTY720–ATO in the management of malignant gliomas. There is a paucity of information on the toxic effects of aflatoxins on reproduction, and any data that are available in the literature are largely from experiments with poorly described methodology, possibly making them unreliable. Consequently, the aim of this study was to evaluate the consequences of aflatoxin B1 (AFB1) administered during the early and late stages of organogenesis on fetal growth and development in the mouse. Groups of mice were administered a single dose of 20 mg/kg AFB1 dissolved in dimethyl sulfoxide (DMSO) either intraperitoneally or orally on gestation day (GD) 7 or 13. The control animals received a similar volume of DMSO. Fetuses were collected on GD 18. This treatment was found to be maternally non-toxic; however, AFB1 treatment resulted in a significantly increased incidence of fetuses with intrauterine growth restriction, characterized by a body weight of ≥ 2 standard deviations below the mean of the control animals. A significant number of fetuses of AFB1-treated mice were also found to have developed smaller kidneys. In addition, the AFB1 group fetuses exhibited delayed ossification of the supraoccipital bone, cervical and coccygeal vertebral bodies, and the bones of the forepaws and hindpaws. Another major finding was a significantly increased incidence of cervical ribs and sternal anomalies. Interestingly, the effects of AFB1 were found to be more severely pronounced in the GD-13 treatment group than in the GD-7 treatment group. These results show that the later organogenesis stage of development (GD 13) is more susceptible to the deleterious effects of AFB1 in mouse fetuses. Postpartum ovarian vein thrombosis is a rare but serious condition. The clinical symptoms are not specific, as a result of which misdiagnosis, leading to delayed management, is unfortunately common. Therefore, the diagnosis should always be considered in patients presenting with acute abdominal pain and fever during the postpartum period. It can be diagnosed by non-invasive radiological modalities, following which early therapy with anticoagulants and broad-spectrum antibiotics can be instituted. We present the case of a 33-year-old woman presenting to an emergency department 2 days post partum with fever and acute pain in the right lower abdominal quadrant. The patient was initially diagnosed as having endometritis and managed accordingly, however, as her condition did not improve, a more serious pathology was suspected. The appropriate radiological procedures corrected the diagnosis and treatment was initiated accordingly. Self-poisoning with organophosphate (OP) pesticides has become a serious problem in developing countries. OPs inhibit acetylcholinesterase, leading to the accumulation of acetylcholine, which, in turn, leads to autonomic, somatic and central nervous system malfunction. The clinical features of OP toxicity are defined as acute cholinergic crisis; other manifestations include intermediate and delayed polyneuropathy. Here, we report a case of a 75-year-old man who allegedly intentionally ingested OP insecticide and who presented with cardiac arrest complicated by intermediate syndrome and delayed organophosphorus-induced polyneuropathy. All complications occurred during the course of management, for example unusual complete heart block and late onset of complete limb paralysis reported in this case. This report highlights uncommon complications of OP poisoning and that early awareness of these complications by the physicians and intensive supportive treatment is the key to successful management. Thrombus formation is a known complication of the use of peripherally inserted central catheter (PICC) lines. The thrombus can be asymptomatic or compromise limb or organ function. Symptomatic thrombi need to be treated. The treatment options include the use of unfractionated heparin or low-molecular-weight heparin (LMWH). We present a case of a PICC line-associated thrombus that resolved after treatment with LMWH.